The ‘Ndrangheta crime syndicate is a powerful global Mafia organisation. Andrew Hosken investigates their power and how the murder of reporter, Jan Kuciak, shone a light on them. It is thought to be the most powerful Mafia organisation in the world and yet few people have heard of it. The ‘Ndrangheta crime syndicate has used the enormous wealth derived from its control of Cocaine smuggling to spread its tentacles far and wide around the world. The crime organisation began as bandits in the late 19th century in Calabria in southern Italy and is now thought to be operating in 50 countries. The ‘Ndrangheta shuns the limelight but earlier this year a brutal murder brought it unwelcome attention. 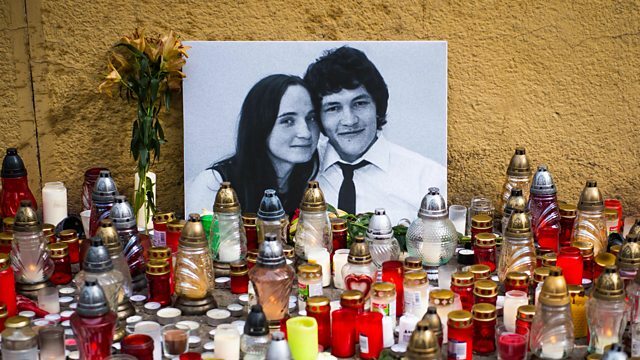 Investigative reporter Jan Kuciak was shot dead while investigating possible links between the ‘Ndrangheta and the government in his native Slovakia. Suddenly the Mafia was in the news. For Assignment Andrew Hosken travels to Slovakia and Italy to investigate the killing and the ‘Ndrangheta’s global reach and power.